Mixing and matching fabrics created a mid century modern look with a contemporary flare making this courtyard unforgettable. 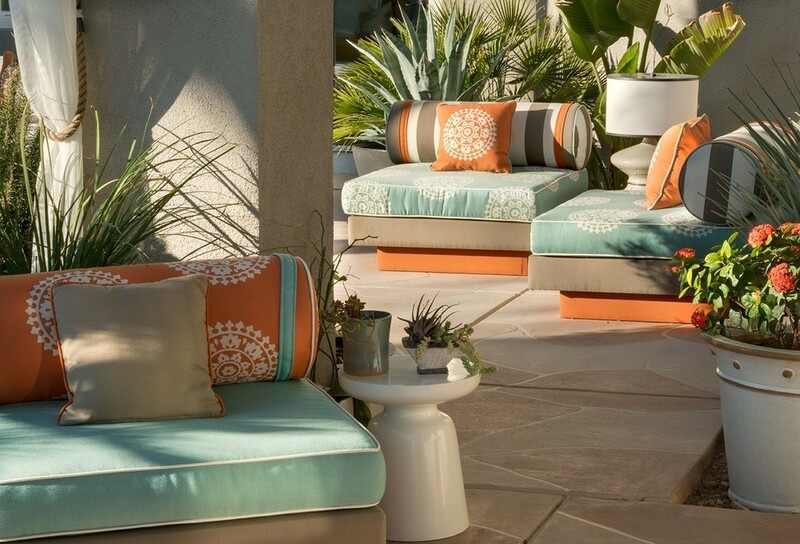 We designed custom furniture using a variety of prints, stripes and solid fabrics in shades of turquoise, orange and grey to create an inviting color pallet. Small quaint seating areas in various areas around the courtyard invites you to meander around, sit quietly or socialize with friends, and makes the yard feel large yet intimate.